Chichester Falcons Softball Club took their season to 6 & 1 with a mercy win against Portsmouth Zombies on Wednesday. The Falcons went into the game a little too keen, as the opening stages saw six of them sat down again with no runs on the board, flaring several hits up into the prevailing wind making easy catches for the Zombies’ infield. 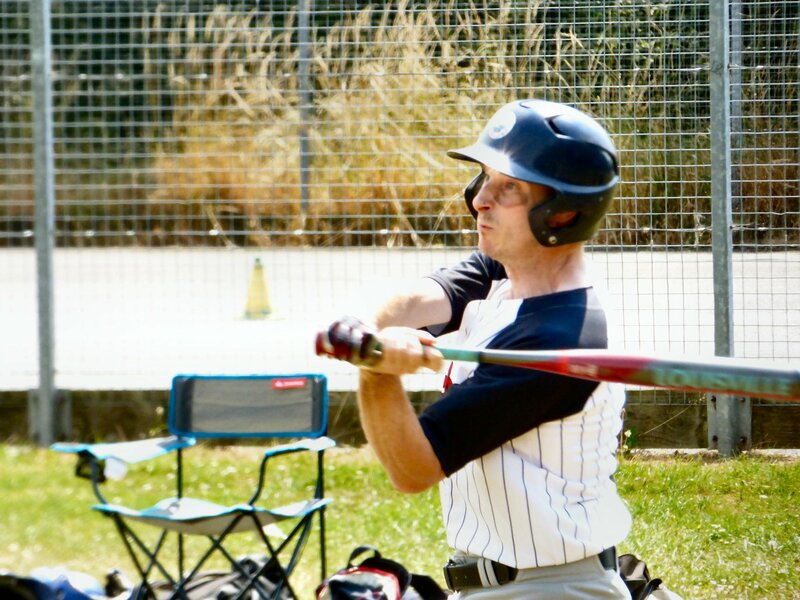 Pitcher Jason Mercer kept things together in the field before starting up a furious ten-run rally which saw Chichester bat round the order, including home runs from Peter Martin and Bronte Harvey. Ally Warr was unlucky to find herself stranded after executing a perfect squeeze play to score David Morris, but got back in the game in the bottom half of the inning with a well taken catch in left field. The Zombies seemed reluctant to swing away as Mercer battled with the wind, but with a mountain to climb the Portsmouth team were left wanting more than a few walks to catch up with the Falcons. Shortstop Ben Sawkins and Lucy Morris stifled a few infield grounders before Chichester slugged a further five runs on thanks to some smart baserunning by right fielder Hettie McNeil, and debutant catcher Katie Newnham powered a line drive down the third base line for an RBI double. More windswept walks tortured the Falcons in the fifth, but with runners on first and second James Wheeler gratefully grabbed a comebacker on third base to keep the Falcons 15 runs ahead, invoking the mercy rule to win the game 17-2.